Plot: A neglected wife divorces her husband and re-marries but her new husband ends up neglecting her also. She then divorces him and is reunited with her first husband. The opportunity to work with Cecil B. De Mille was a dream come true for Gloria. She was working with a talented man who was a true professional and she was making expensive films that would be well liked by both critics and the public. Cecil B. De Mille's film productions were always elaborate. His sets were filled with real furniture and antiques and he provided his actors with genuine clothes and jewelry. Gloria later said that she hated going home at night because her home furnishings were drab compared to his sets. 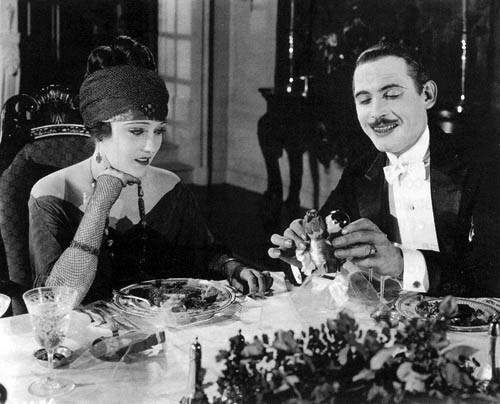 Swanson and De Mille understood each other and they both knew what they wanted. They were a great professional match. Don't Change Your Husband was a watershed film for Gloria. It opened in January 1919 and was held over for two weeks in New York, which was unheard of at the time.